Lesson number one of blogging...always remember to save and save often! I just learned that the hard way. I just wrote my first blog entry ever and had it painfully lost by clicking on one of the colorful buttons that my blogging tool has to offer. I will never do that again. Nevertheless, this is take two of my first blog entry to Somewhat Frank a blog set up for me, Frank Gruber, to give candid perspective, advice, and "how to" knowledge in the areas of technology, business, news and other aspects of life. 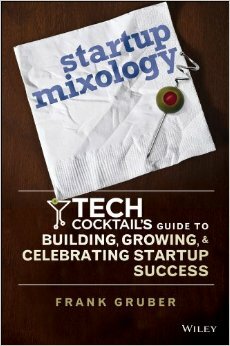 After spending the last 8 years knee deep in web technology and online business I finally was driven to construct my own blog. What made me do it? I am not really sure, though I think my recent visit to the Webmaster World Search Conference in New Orleans showed me that people might actually be interested in what I have to say. Not to mention with my years of experience and Masters from Northwestern's McCormick School of Engineering I too could be a valuable resource online. Also I think the supportive nature of a few of the speakers at the conference may have been compelling enough to make me want to get this site up immediately. 1.) Jeremy Zawondny from Yahoo! spoke about his blog and how he started with only ten readers but has grown in three years to the thousands. 2.) 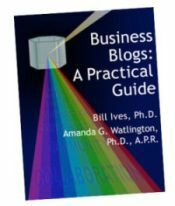 Amanda G. Watlington spoke of the 70 bloggers she interviewed for her recent book on Business Blogs: A Practical Guide.